Vitamin C is an essential nutrient involved in many biological functions. Humans, unlike most mammals, cannot synthesize vitamin C. Ascorbic acid is the scientific name for this important vitamin. You can buy "C" in many different forms or products at your local health food store. The inexpensive ascorbic acid form of vitamin C is just as healthy as the most expensive natural product. Take a maximum of 200 to 500 mg of ascorbic acid four times a day (i. e., one with each meal & once before bed). Vitamin C supplements should NEVER be chewed because the acid will destroy your tooth enamel. Much larger dosages of ascorbic acid are recommended when trying to fight off coming down with a cold. The non-acid ascorbates are preferable over straight ascorbic acid since they will minimized bone loss due to your body neutralizing acid with calcium. The above picture shown to the left, indicates the vitamin C mg / 100 grams content of ripe fruit. The commonly available Kiwi fruit packs more vitamin C content than an orange, usually at a lower price. However, you should disregard grapes since their "C" content is only around 4 mg / 100 grams. Ascorbic acid is an antioxidant in many intracellular and extra-cellular reactions. It is known to prevent low-density lipoprotein (LDL) oxidation., There is an 27% decreased prevalence of coronary heart disease and a 26% decreased prevalence of stroke among individuals with the highest blood levels of Vitamin C.
Ester C, which means the essence of C, is reported to be primarily calcium ascorbate [i.e., a base or non-acid form of C] with some additional bioflavonoids added. "USANAs proprietary vitamin C blend, Poly C, is a mixture of calcium, potassium, magnesium, and zinc ascorbates." The ascorbate forms of vitamin C use minerals to buffer the normally acidic vitamin C in order to make it suitable for people with sensitive stomachs. Overall, with vitamin C the cheapest synthetic form is just as healthy as the most expensive natural products. Therefore, you should buy whatever happens to be less expensive. Ester C, time release vitamin C, and the products with bioflavonoids or rose hips are NOT required or even recommended for good health. The Natural Health Perspective recommends that you buy vitamin C in an ascorbate form, in order to minimize bone loss. However, once you get to the advance Level of antioxidant use, you should be using equal amounts of citrus bioflavonoids along with ascorbic acid. Nevertheless, for beginners vitamin C without any flavonoids will be just fine. Using flavonoids happens to be an advanced strategy. But, the biggest bang for the buck spent on vitamin C comes from purchasing plain ascorbic acid. Furthermore, in order to get 250 mg or more of citrus bioflavonoids you will have to buy them separately anyway. The rest of this article is base on a paper published in the Journal of the American Medical Association entitled: Criteria and Recommendations for vitamin C Intake. This JAMA paper provides very credible information on just about anything you might want to know about ascorbic acid. Have you ever wondered what happens when you take a dosage of vitamin C? Shortly after taking a 500 mg dosage of ascorbic acid your blood levels of vitamin C shoots way up and then falls down drastically during the first two hours. After that, your blood level plateaus out at approximately 60 to 70 µmol/L of vitamin C for between eight and ten hours. Oxidation of LDL in vitro is inhibited by vitamin C concentrations above 40 to 50 µmol/L., Blood plasma ascorbic acid concentrations of more than 60 µmol/L is associated with decreased risk of heart disease and stroke. Taking a 2,500 mg dosage of vitamin C results in the same plateau effect, after the first two hours. The only blood saturation difference between a 2,500 and a 500 mg dosage of ascorbic acid occurs during the first two hours. How much vitamin C should a person be taking each day? This JAMA research documents that taking any amount more than 250 to 500 mg of ascorbic acid every eight hours does NOT accomplish anything, other than waste money. The difference in blood saturation between a 500 mg and a 2,500 mg dosage of vitamin C is hardly worth mentioning. A different study, also, reported that taking 500 mg of vitamin C a day increased blood concentrations of glutathione by 50%. But, increasing the dosage to 2,000 mg ONLY raised the blood levels of glutathione levels by another five percent. Glutathione is the most abundant antioxidant found in your body. In divided dosages, 200 mg of ascorbic acid achieves 100% utilization. This dosage would provide for complete tissue saturation. It is unlikely that the consumption of five servings of fruits and vegetables daily will provide 210 to 280 mg of vitamin C. "Fruits and vegetables commonly consumed in your diet are low in vitamin C, typically only 10 to 20 mg per serving." Complete blood saturation occurs at 1,000 mg daily. Anything above that dosage, results in the extra ascorbic acid being mostly excreted into the urine. 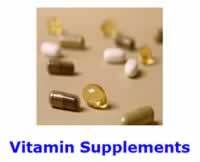 In conclusion: You should buy vitamin C ascorbate tablets in the dosage is that is the most economical. This will usually be 500 mg. Then manually cut these tablets in half with a pill splitter, one at a time. Theoretically, all you need to do is take one of these vitamin C 250mg tablets once every eight hours. However, a more convenient approach is to take one tablet four times a day: at mealtime, and once at night before bed. Taking 250 mg of "C" four times a day will provide for total blood saturation for the typical healthy person. This dosage schedule will provide for a minimum level in your blood of approximately 60 to 70 µmol/L of vitamin C, 24 hours a day. The reason people should supplement with vitamin C daily is because their bodies are actually using this water-soluble vitamin. When you feel like you are coming down with a cold, or are otherwise sick, the wisdom of your body alters the above physiology so that dosing with larger amounts of "C" will NOT be wasted. Thus, dosing with 1,000 mg of vitamin C every 30 minutes for the first hour, and then hourly for the next six hours is highly recommended whenever you start coming down with the symptoms of a cold, such as sneezing with a runny nose. This dosing strategy will keep your blood levels of vitamin C way up for at least 8 hours during the onset of a cold. Levine M, Rumsey SC, Daruwala R, Park JB, Wang Y. Criteria and recommendations for vitamin C intake. JAMA. 1999;281:1415-1423. Hampl JS, Taylor CA, Johnston CS. Low vitamin C intakes among American adults: who is at risk? J Am Diet Assoc. 1999;99(suppl):A11. Jialal I, Fuller CJ. Effect of vitamin E, vitamin C, and beta-carotene on LDL oxidation and atherosclerosis. Can J Cardiol. 1995;11:97G-103G. Simon JA, Hudes ES, Browner WS. Serum ascorbic acid and cardiovascular disease prevalence in US adults. Epidemiology. 1998;9:316-321. Johnston CS; Meyer CG; Srilakshmi JC. vitamin C elevates red blood cell glutathione in healthy adults. Am J Clin Nutr, 1993 Jul, 58:1, 103-5.